The McLaren P1. Built by the Formula One team, this car is the successor to the original and now rare 3-seater McLaren F1 road car, built from 1992-98. The car is likely to run on a 3.8L V8 engine, with F1 KERS (Kinetic Energy Recovery System) providing further boost. This will give it nearly 1000bhp and a top speed of around 240mph! Price tag; likely to be around £700k! This model will sit above the MP4-12C road car already in production. I’ve blogged about McLaren and their amazing factory previously (click here to see it). Seemingly everything McLaren do is focused on design, speed and infinite attention to detail. Infiniti FX ‘Vettel’ edition. Staying with the Formula one theme, Infiniti, who are a subsidiary of Nissan and also sponsor the Red Bull F1 team, have produced a special 5L V8 version of their SUV luxury model. Its been launched to mark the success of Sebastian Vettel’s Championship wins. Infiniti remain relatively unheard of in the UK and I suspect there are other more popular luxury car makers here for them to become mainstream, like Range Rover. BMW 4-Series. The German manufacturer appears to have got confused with its numbering of the all-new 3-Series. They have decided to call the 4-door saloon and touring version of the model the (traditional) ‘3-series’, while the 3-door coupe version will now be named the ‘4-Series’. This would seem to be in response to Audi’s ever increasing line-up of models. Regardless, both the 3 and 4 Series will no doubt continue to be top sellers and I think this model particularly looks superb. 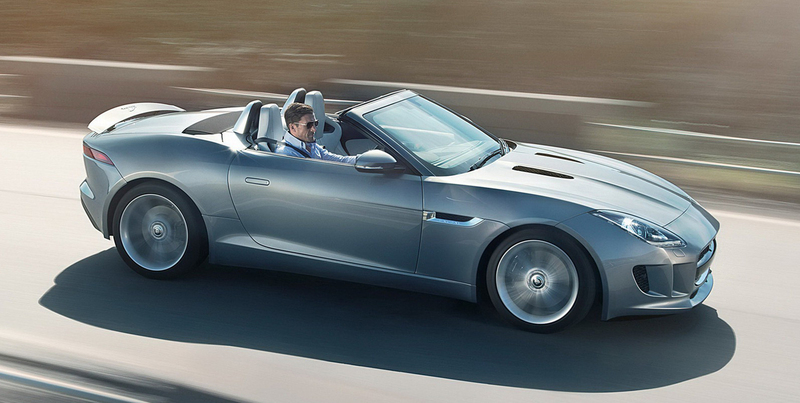 Jaguar F-Type. Again a successor to another amazing car perhaps, the original 1960’s E-Type. Could this car become another iconic British motor legend? It certainly looks good, but I’m not sure its breaking the mould. Arguably the McLaren is far more dynamic in terms of new ideas and technology being employed. However, for a fairly reasonable £60k, I suspect this may well be a popular choice. Bentley Flying Spur. Keeping things British (sort of), Bentley (owned by the German VW Group) appear to be busy developing new cars, thanks to demand from the far east mainly. They launched the new super luxury Mulsanne in 2010 and a second generation new Continental GT in 2011. The Flying Spur is a 4-door saloon version of the GT and is due out later this year. Bentley are also developing a new SUV/ 4×4 codenamed the ‘EXP 9 F’, but the initial images of the car to date have been rather questionable!…hopefully the actual production model will look better. My brother works at Bentley in Crewe – this is the original Rolls Royce factory where both cars and the Merlin Plane engine were manufactured during the war. A visit to the new facility is a real treat, especially to see the craftsmanship employed – somewhat of a rarity these days sadly. Other cars in development are; A new Ferrari Enzo, a new Aston Martin Vanquish (which will look like all the other Astons! ), a new Lotus Esprit and a new Mercedes S-Class (one of the most leading edge cars in terms of new technologies which later become mainstream). Of the 33 million vehicles on our roads in the UK, 27 million are cars. Road transport accounts for 22% of total UK emissions of carbon dioxide (CO2) – the major contributor to climate change. The EU and UK Government pressure on manufacturers to improve efficiency is significant, but cars still need to go fast and look good. In terms of cool garages, Chris Evans has a pretty impressive one. It houses his all-white vintage Ferrari collection. However one car in his collection has its own lounge! Well if you’d spent £12m on a car (the most expensive in Britain) you’d want to give it a special home. Its a rare Ferrari 250 GT (only 36 were ever made). When I was about 14 years old I decided I wanted to be a car designer or an Architect. I suspect I made the right choice, for me, in becoming an Architect, but it must be fascinating to be part of developing a new vehicle for production and distribution around the world. So, if you see me in any of these cars soon, there’s a good chance I’ve won the lottery! If I did win the lottery would I still work as an Architect? There is no doubt in my mind, I definitely would carry on working. But I’d probably enjoy a collection of cars too. Previous PostReflecting on 2012Next PostThe high tech house of Sir Stirling Moss.